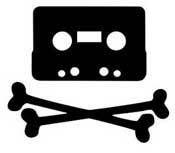 Despite having its funding cut by around 25%, budget predictions suggest that the French Hadopi anti-piracy agency will send out 1.1 million "strike" warnings in 2013 compared to 668,000 in 2012. At the same time, Hadopi have published new figures on how citizens are consuming both legal and not-so-legal content online and reporting successes in getting people back into official stores. In 2010 France became one of the first countries to initiate a controversial “3 strikes” mechanism to deal with the issue of online media piracy. The system sees rightsholder companies monitoring file-sharing networks for copyright infringements and alleged infringers’ ISPs pass on warnings. The system, administered by the Hadopi agency, has a stated aim of persuading citizens to buy content from official outlets in advance of them receiving a “third strike” and potential punishments. Figures just published by Hadopi for 2012 are 613,271 e-mail warnings sent, 54,712 registered mail warnings delivered, and 305 cases sent for further action. But despite the high turn out, Hadopi intends to send even more next year. According to figures reported by Numerama, the anti-piracy agency will boost its efforts by sending out a total of 1.1 million warnings this year, increases that are all the more surprising considering the 25% (3 million euro) budget cut recently imposed on Hadopi. In addition to the usual music, movie and TV shows file-sharers, some of the extra warnings will also be issued to those accessing video games for free after the industry jumped on board the warning scheme last year. But is the system working? After interviewing 1,530 respondents the agency concludes that since the warning system was introduced the consumption of legal content has increased and consumption of illicit content has reduced. According to Hadopi, since 2011 there has been a decrease in the number of users obtaining media online unlawfully, from 20% in December 2011 to 15% in October 2012. This 15% either exclusively access unlawful content or consume in addition to legitimate sources. Overall, 87% of users say they access media from authorized sources, with 78% of users only downloading digital content from legitimate sources, up from 71% in 2011. Hadopi reports that in particular music has done well, with 80% of users now reporting that they only access content from legitimate sources, up from 72% in December 2011. Video games (84%) and books (87%) also received a boost. Just over half of all respondents (51%) said their main motivation to consume authorized content is to stay within the law, with 43% saying they do so out of respect for creators. Other reasons include obtaining a perceived higher quality product and a reduced risk of malware or virus infection. But of course this data from Hadopi was achieved through a survey, so whether French Internet users are prepared to be completely honest with an agency that has publicly threatened to cut them off remains to be seen. Whatever the outcome, Hadopi clearly sees sending out more warnings as the solution to even better figures next year.